Defense attorneys for a white Chicago police officer charged with murder in the shooting of black teenager Laquan McDonald are raising questions about the thoroughness of the autopsy. Forensic pathologist Shaku Teas was the first witness called as Jason Van Dyke’s lawyers began presenting the defense case on Monday. Van Dyke shot McDonald 16 times. Cook County’s chief medical examiner testified last week that it’s impossible to determine the exact order of the wounds. But Teas testified that a shot to McDonald’s neck was the first or second shot. She says it was fired when he was still standing. She believes the fourth shot hit McDonald’s right chest and caused him to die rapidly. She says the wound was consistent with McDonald being turned toward the officer when he was shot. Video shows Van Dyke continued to fire at McDonald after the 17-year-old feel to the ground. Defense attorneys in Chicago Police Officer Jason Van Dyke’s murder trial are about to start calling witnesses, and the big question is whether Van Dyke will testify. Prosecutors rested their case Thursday and the judge told jurors that the officer’s attorneys would start presenting their defense Monday morning. Van Dyke, who is white , isn’t obligated to testify, but he has the right to take the stand to give his version of what happened on Oct. 20, 2014, when he shot black teenager Laquan McDonald 16 times. The other question is which — if any — officers at the scene the defense will call to testify. 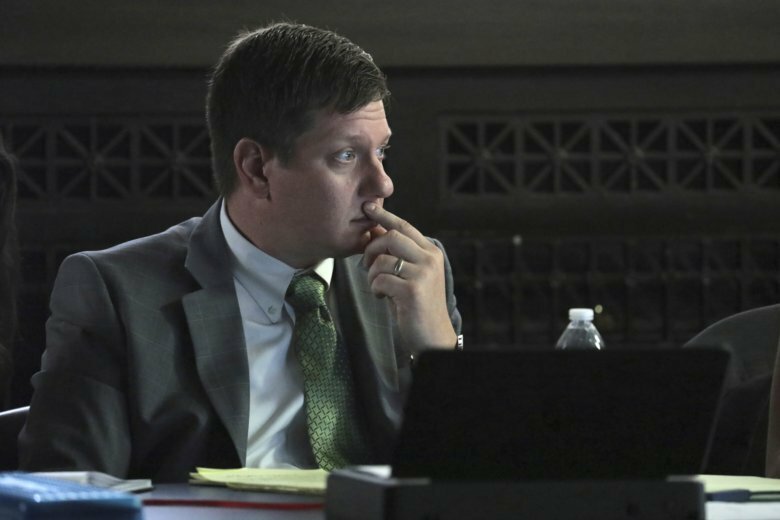 Prosecutors called several last week , but others, including two charged with trying to cover up what happened to protect Van Dyke, have not testified.